The newest ultra-fast rapid-acting insulin from Novo Nordisk, named Fiasp (fast-acting insulin aspart), has been approved for use in Europe and Canada, and FDA approval in the U.S is likely not far behind. This is big news for those of us who use insulin, with major implications for how we manage our condition. One study involving over 2,000 people showed that use of the new rapid-acting insulin yielded a lower rise in post-meal blood sugars compared to current fast-acting insulin. In another study, it was shown that Fiasp was “much more statistically likely to lower HbA1c levels than insulin aspart when the insulins were given at mealtime.” Novo Nordisk’s executive vice president and chief science officer, Mads Krogsgaard Thomsen, suggested that the change brought about by this new more rapid-acting insulin will be similar in scope to the change from the old Regular insulin to fast-acting insulin variants like NovoLog (insulin aspart), Humalog (insulin lispro), and Apidra (insulin glulisine). I started my Diabetian life (23 years ago…) on Regular insulin, and I can tell you the change from Regular to fast-acting was life-changing. But while this is all very exciting, it’s worth pointing out that there are SOME things that that old Regular insulin actually does better than the current fast-acting insulin variants, and this newer rapid-acting insulin will have some of the same challenges. We all know about the pizza effect — you take your insulin for the carbs in the pizza before you eat. After the meal you start dipping low, and then as many as 4–5 hours LATER, you find yourself skyrocketing UP. This is because the carbs in that pizza are ingested into your system very slowly, held up by the fat content in the meal. And so we get this delayed spike. Our old Regular insulin was actually pretty good at this. It had a duration of 6–8 hours, and it didn’t start lowering blood sugar as quickly. So you wouldn’t see the dip right afterward (since the insulin was still kicking in and not at full strength yet), and it was still in your system working at hour 4 when those stored-up carbs finally hit! Insulin pumps, of course, have the option to give an “extended bolus,” where we only take a percentage of the total with the meal, and then let the rest of that insulin spread out over a designated period of time, anywhere from about 15 minutes to 6 hours. This is one way to deal with the pizza effect. And as for those taking shots for their meals, I’ve run into quite a few who still use Regular insulin (or a mix of Regular and fast-acting) for meals they know are going to extend on them. But the timing issues for insulin don’t stop there! In my case, for instance, I find that I have to give my pre-breakfast bolus about 15–25 minutes before I eat (even if my blood sugar is right in range), while lunch and dinner don’t need as much advance time. My ratio is higher in the mornings — always has been — but the timing has to shift, too. And anytime I’m going to have a meal with a lot of carbs, I find myself shifting my pre-meal bolus a little further out from the meal, as I want that spike in insulin activity to coincide with the spike from the carbs. When all is said and done, the TIMING of insulin is just as important as the ratios and amounts we give ourselves. And as insulin becomes faster and faster, understanding how to time our insulin becomes even more important! A faster action means a smaller window and potentially bigger fluctuations. That’s the thing — the old Regular insulin wasn’t as good as the current fast-acting insulin we use now, but it WAS a little more forgiving sometimes. That long duration curve meant it was a little less prone to sudden drops. Of course, if your blood sugar went too HIGH, it wasn’t nearly as good at bringing it BACK in range — in fact, often you just had to “wait it out” while your sugar returned to normal over the course of many hours. But it was always a nice, gentle curve. 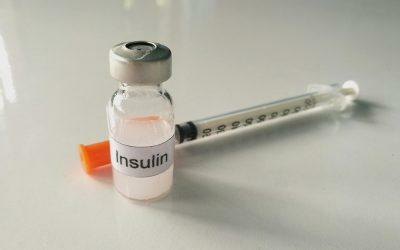 I am very curious to see what this new generation of insulin can do. As long as we know what we’re doing, I think it will improve our diabetes care, and that’s a wonderful thing. As long as we get the timing right…. People with Type 2 diabetes who are “night owls” report having more symptoms of depression than those who go to bed and wake up early. Bookmark DiabetesSelfManagement.com and tune in tomorrow to learn more.